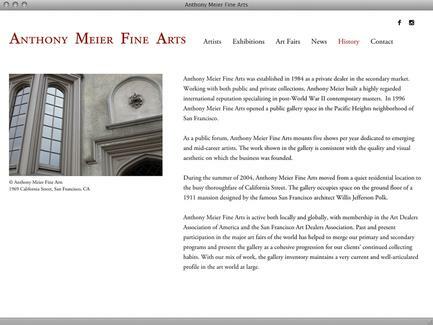 Anthony Meier Fine Arts was established in 1984 in San Francisco as a private dealer specializing in post-World War II contemporary masters. 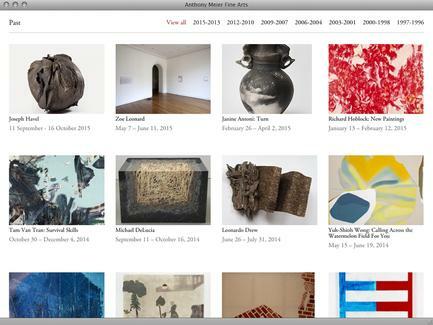 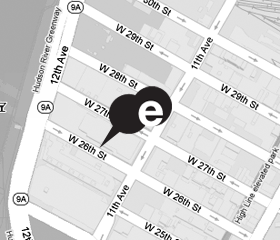 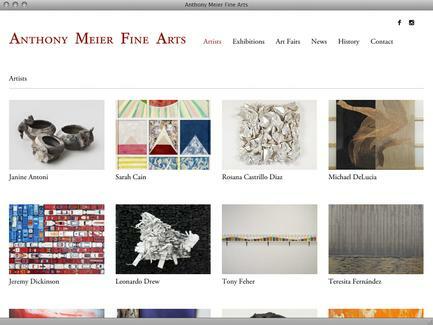 Since opening a public gallery space in 1996, Anthony Meier Fine Arts mounts five shows per year dedicated to emerging and mid-career artists. 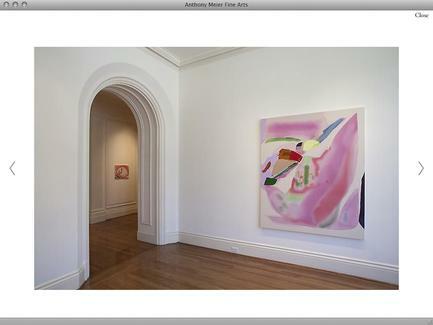 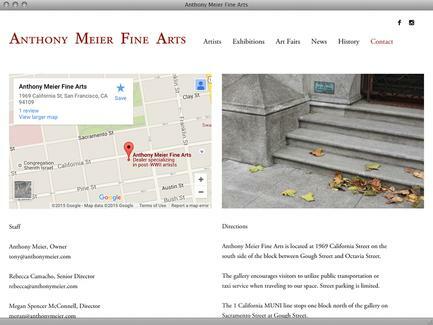 The gallery is located at 1969 California Street on the ground floor of a 1911 mansion designed by the famous San Francisco architect Willis Jefferson Polk. 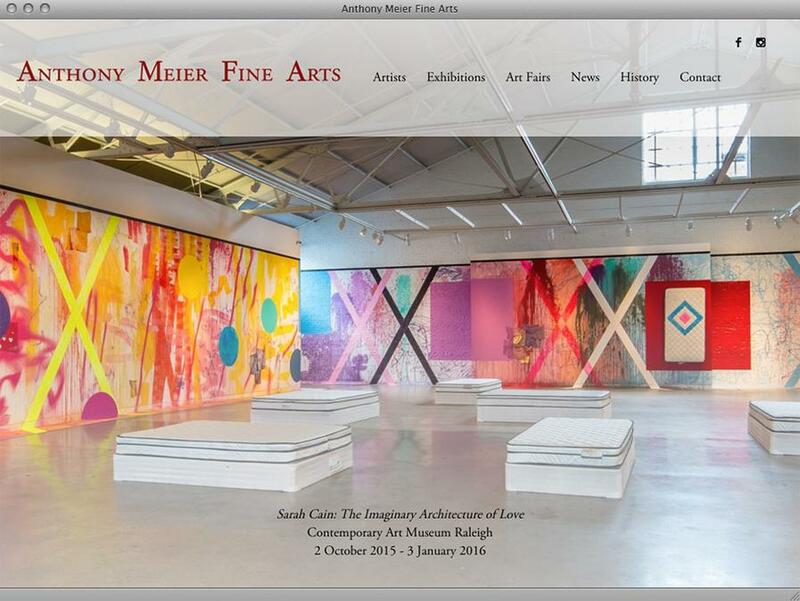 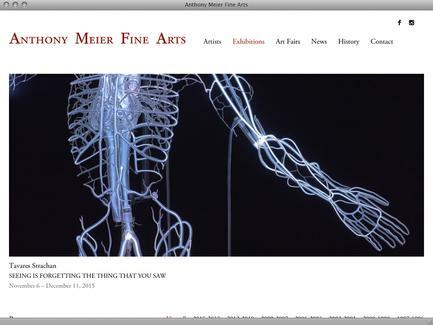 Anthony Meier Fine Arts is a member of the Art Dealers Association of America and the San Francisco Art Dealers Association.